ePhotozine, Ken Rockwell, Steve Huff Photos, PhotoRadar, and Pocket-Lint, have all reviewed the new Nikon D3100 Digital SLR – it features a 14.2 megapixel CMOS sensor, Full HD Video: 1920 x 1080 24fps recording, 3″ screen with live-view, 3fps shooting, and new kit lens with optical Vibration Reduction: the AF-S DX NIKKOR 18-55mm f/3.5-5.6G VR. 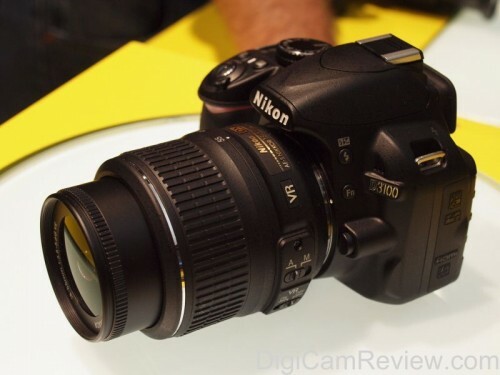 The Nikon D3100 DSLR with VR kit lens is available now for £498 – we had a look at the D3100 at Photokina 2010, click “read more” for more photos. 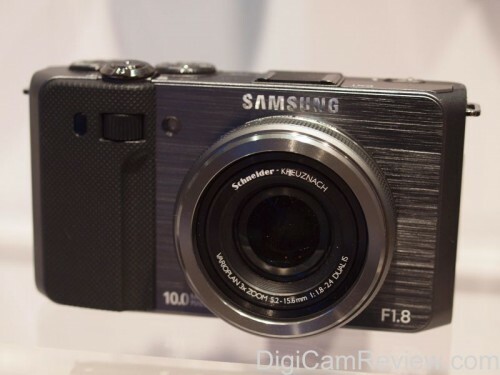 Enticing The Light has reviewed the Samsung TL500 / EX1 – the advanced compact camera features a wide-angle 24mm f1.8 3x optical zoom lens, 3.0″ AMOLED screen, 10 megapixel sensor, manual controls, RAW support, and VGA, 30fps video, we had a look at the Samsung TL500 / EX1 at Photokina. The Samsung TL500 / EX1 is available for £340. 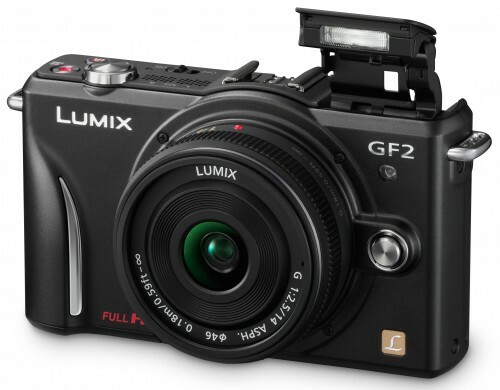 Panasonic has announced the new Panasonic Lumix GF2 Micro Four Thirds DSLR – this is the world’s smallest interchangeable lens system camera with built in flash. The camera will be available in Red, Black or Silver, and features a 12.1 megapixel sensor, 1920 x 1080 Full HD Movie Recording, 3″ touch screen, built in pop-up flash, 4:3, 3:2, 16:9, 1:1 aspect ratio, RAW support, manual controls, and takes SD / SDHC / SDXC memory cards. The DMC-GF2 is available in three kit combinations: DMC-GF2CEB (DMC-GF2 camera body + 14mm lens), DMC-GF2KEB (DMC-GF2 camera body + 14-42mm lens) and DMC-GF2WEB (DMC-GF2 camera body + 14mm & 14-42mm lenses). View the full press release and more pictures below. Amazon UK, Jessops, and Lidl (Monday 8th November Special – with case), are all selling the new Fujifilm FinePix JX200, JX210, and JX220 respectively for £79, and are all versions of the same camera. 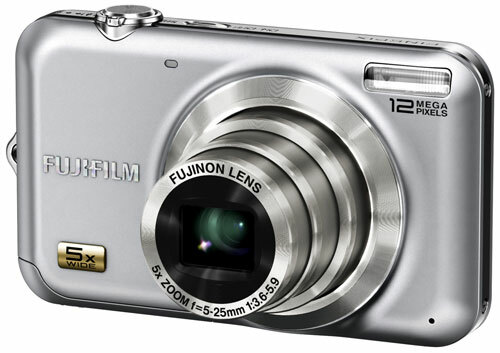 The Fujifilm FinePix JX200 (Fujifilm) was announced in February and features a 12 megapixel sensor, wide-angle 5x optical zoom lnes (28-140mm equiv. ), 720p HD Video recording, 2.7″ screen, SD / SDHC support, lithium-ion battery, face detection, blink detection, smile detection, auto scene recognition, metal body available in silver or black, 4:3, 3:2, 16:9 aspect ratio, 10cm macro, and panoramic stitching. You can find reviews on Amazon UK. If you’ve got one – why not leave your comments, and links to photos below. 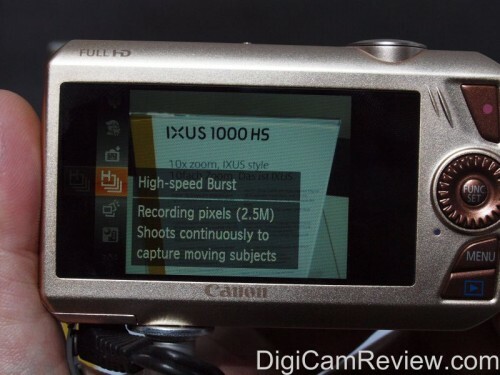 ePHOTOzine, InfoSyncWorld, Photography BLOG, and Trusted Reviews, have all reviewed the new Canon Powershot SD4500 IS / Digital IXUS 1000 HS – a compact camera with a 10x optical zoom lens (36-360mm), optical image stabilisation, 3″ screen, 10 megapixel back illuminated sensor, full HD video recording (1920×1080), as well as a 240fps video mode, 8.8fps shooting (at 2.5mp), 1cm macro, ISO3200, the metal bodied camera is available in silver, brown and pink for £279. 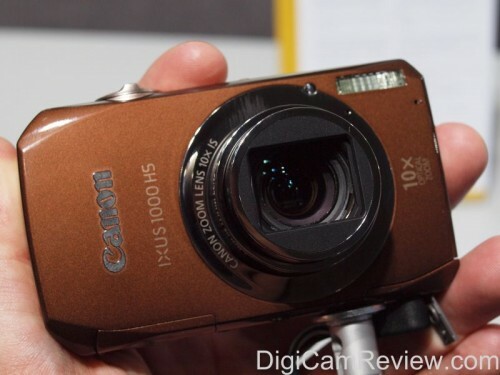 We had a look at the camera at Photokina 2010, and you can view more hands-on photos in the gallery.